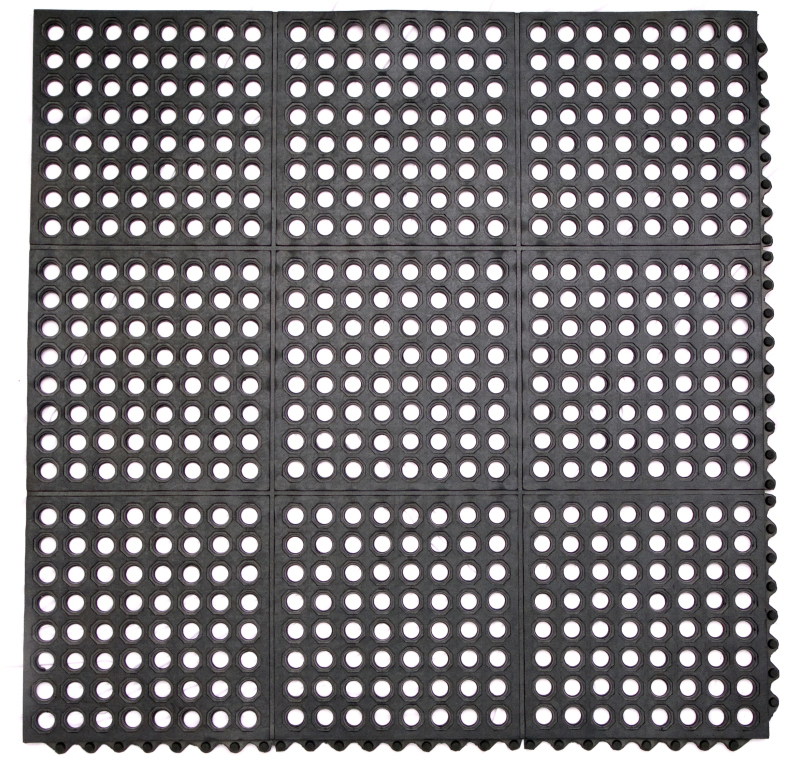 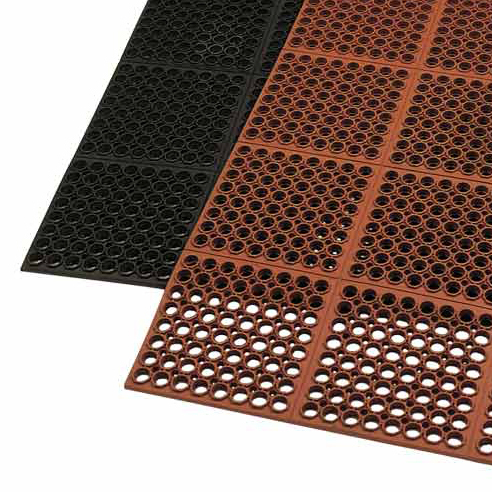 Made from recycled rubber, these interlocking mats offer sturdy drainage that is an anti-fatigue, anti-slip surface designed for large commercial kitchens. 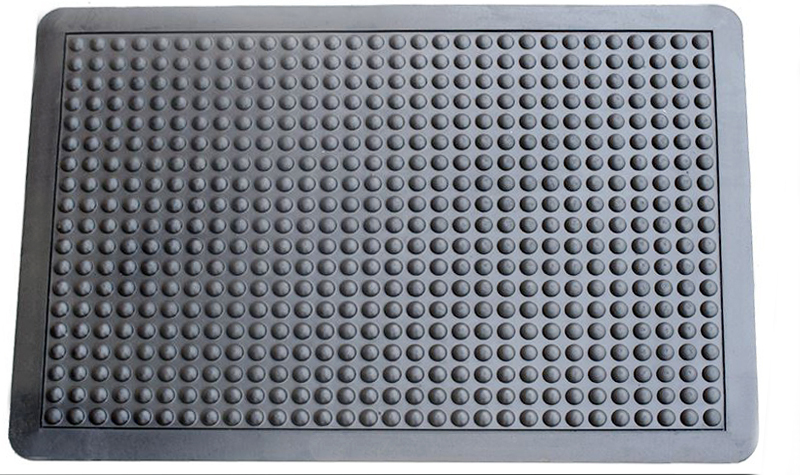 At 3/8” thick and measuring 3 feet by 3 feet, these floor mats are heavy duty and sized for many applications. 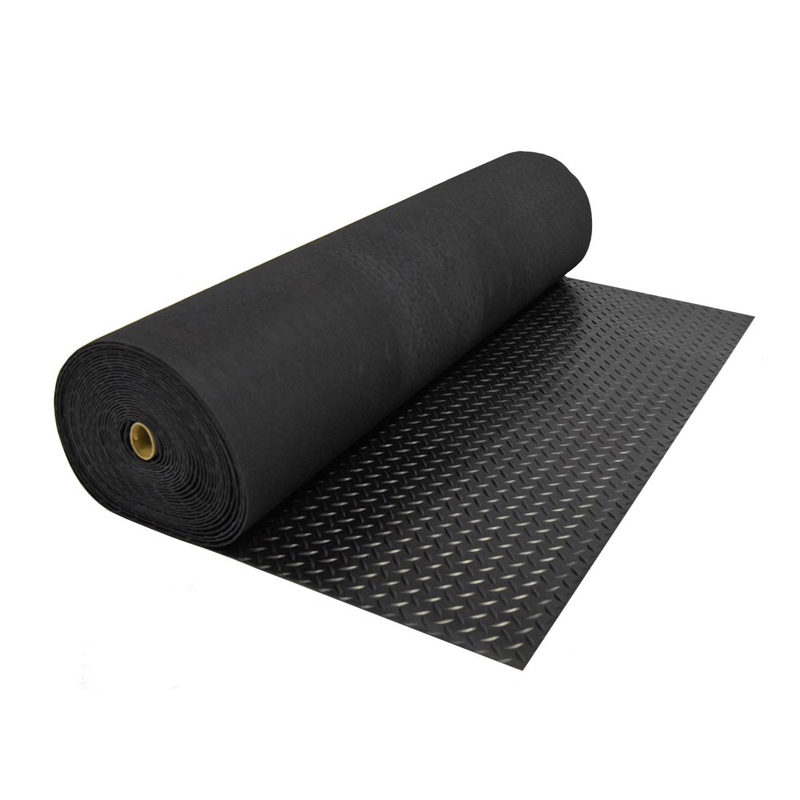 Each interlocking mat comes with circular holes that drain liquids and other excess debris, providing you with the highest quality anti-slip floor safety because it will keep the mat’s surface drier. Sold in pallets of 50. 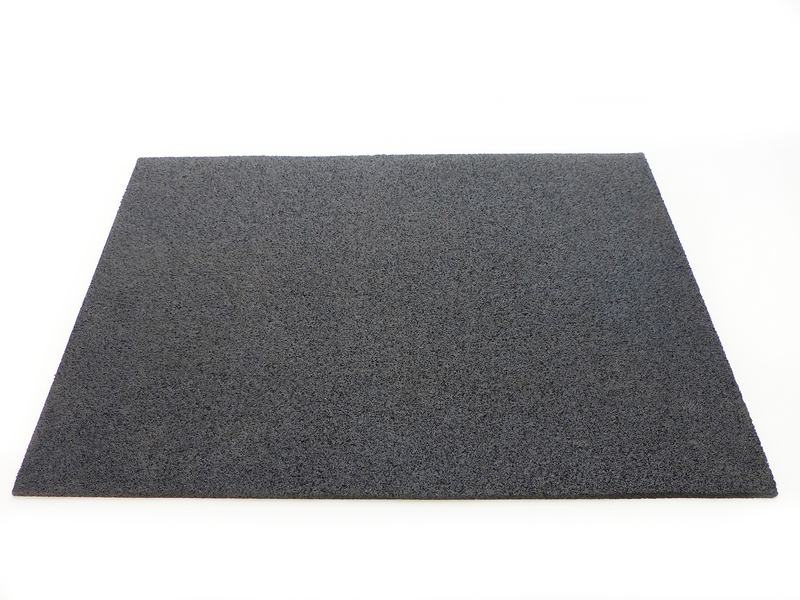 Ideal in kitchens, bars, restrooms, locker rooms, and any other area that sees a lot of stray spills.